You will travel to and from Agios Efstratios by boat for about 5 to 10 hours depending on departure or arrival port, as well as from the number of islands that your ship will stop. The routes which currently exist are the following, but it is wiser to ask agents about any changes that may occur. 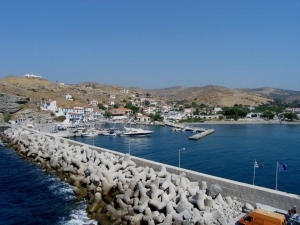 Another way to get to Agios Efstratios is by air up to Limnos and from there you can take the boat.